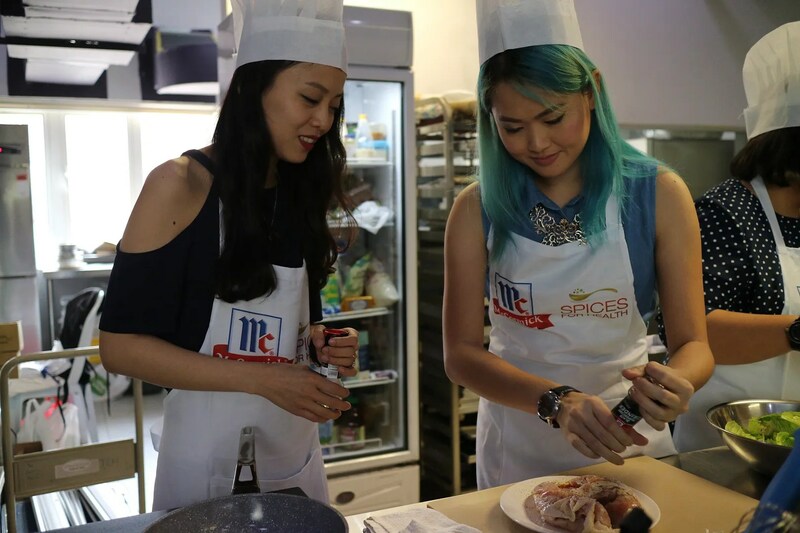 It’s always a great pleasure to be invited to a cooking workshop because it means that I could get out of my comfort zone and cook at a foreign, often-more-equipped kitchen trying out new recipes with other people. 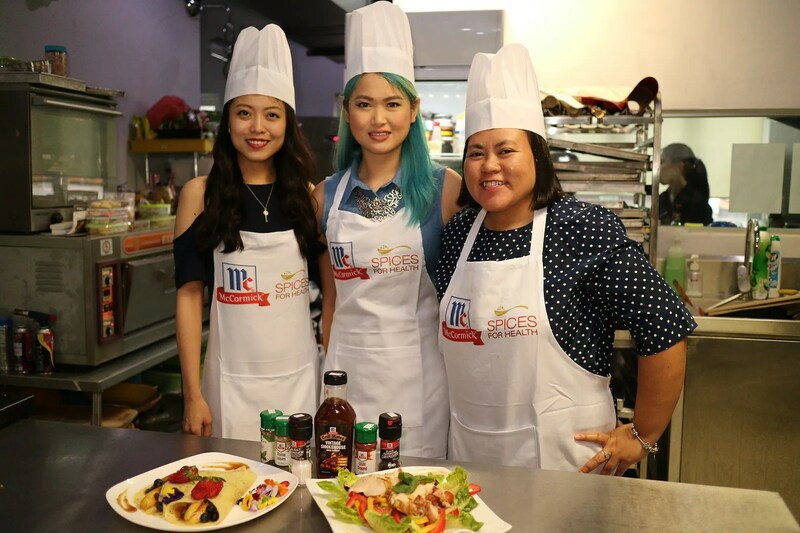 Few days ago, I attended a bloggers’ meet and greet with Chefology and McCormick. McCormick I’m quite familiar with as I use a lot of their herbs and spices at home, but Chefology is relatively new to me. This was me arriving at the event not knowing there’s a competition awaiting us. Calm before the storm, indeed. 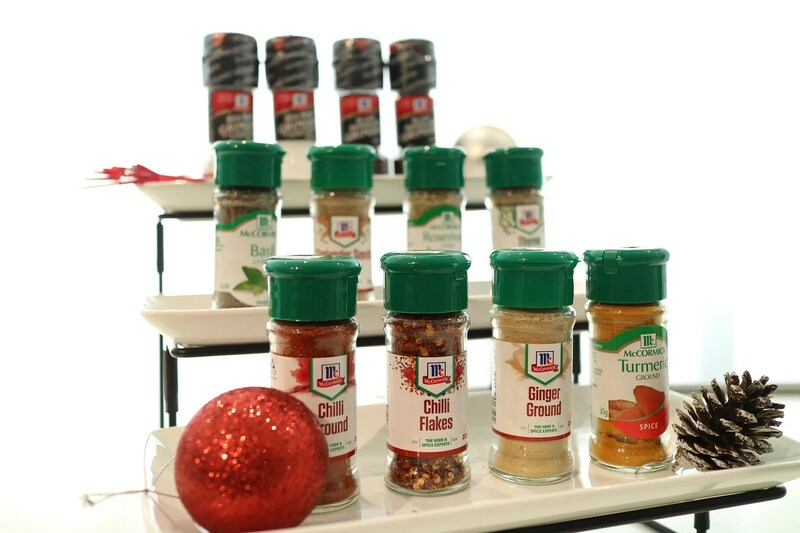 Some of the McCormick herbs and spices on display, how many of these are in your kitchen? 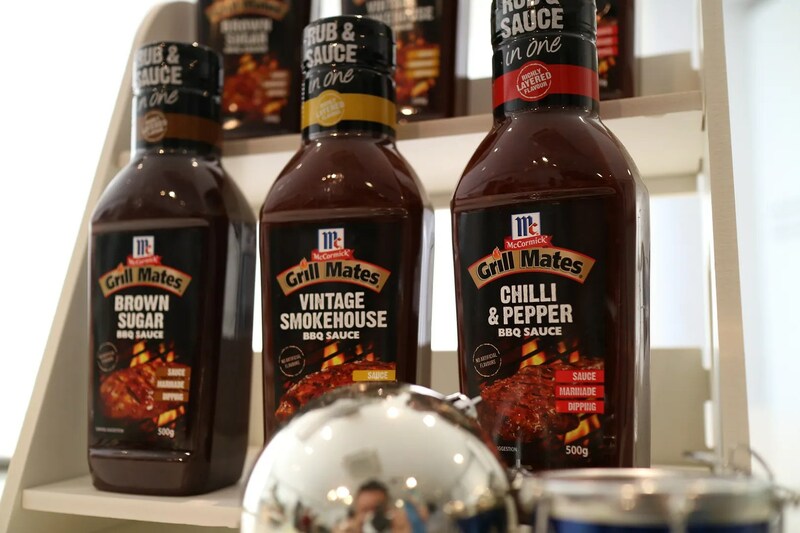 The heavyweights: McCormick Grill Mates BBQ Sauce. 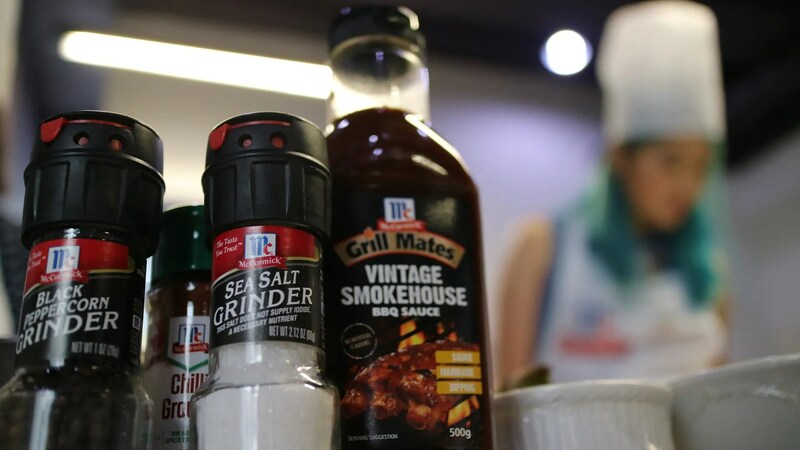 Thick, flavourful and excellent as a sauce, dipping, marinade and glaze, comes in 3 different flavours: Vintage Smokehouse, Brown Sugar & Chilli and Pepper. 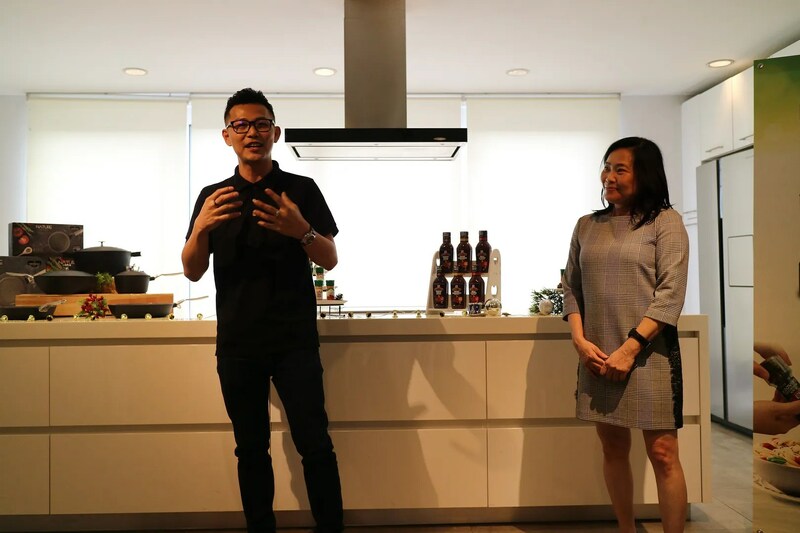 The event kickstarted with a few words from McCormick’s Patricia and Chefology’s Jaden Teoh (small world, we met earlier through completely different circumstances, I was performing at one of his outlets). 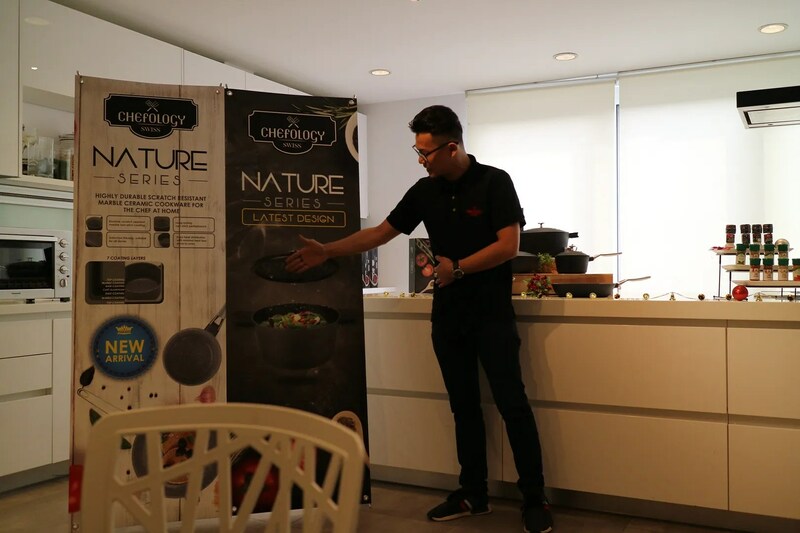 The Chefology Nature Series is a collection of 5 cookware items, designed for the comfort of cooking in the kitchen. The cookware is made of die-cast aluminium, with a six-layer coating, ensuring a safer cooking experience. – It’s durable and scratch-resistant. Best still, they can be used on all kinds of stove including induction! 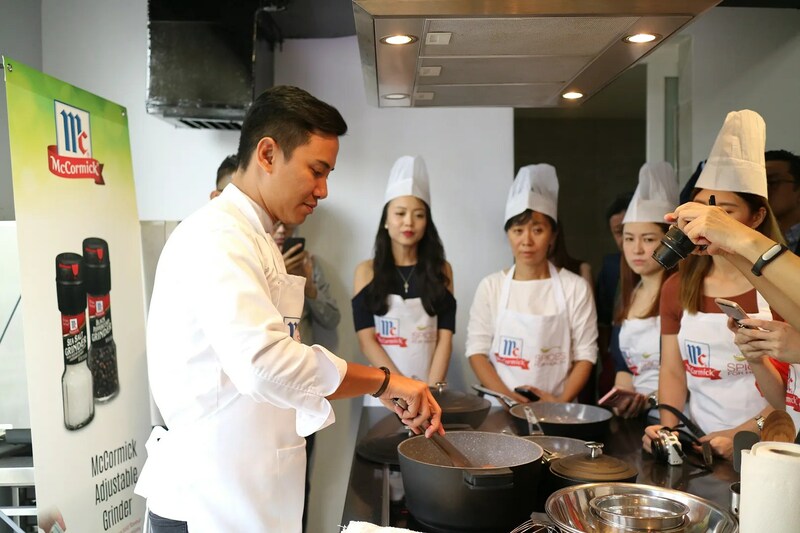 We then had Chef Charming, I mean Chef Collin Edward Lim demonstrating his dishes using the Chefology pans and McCormick products. He first made a Braised Beef Short Ribs, using the sturdy looking Chefology pot. 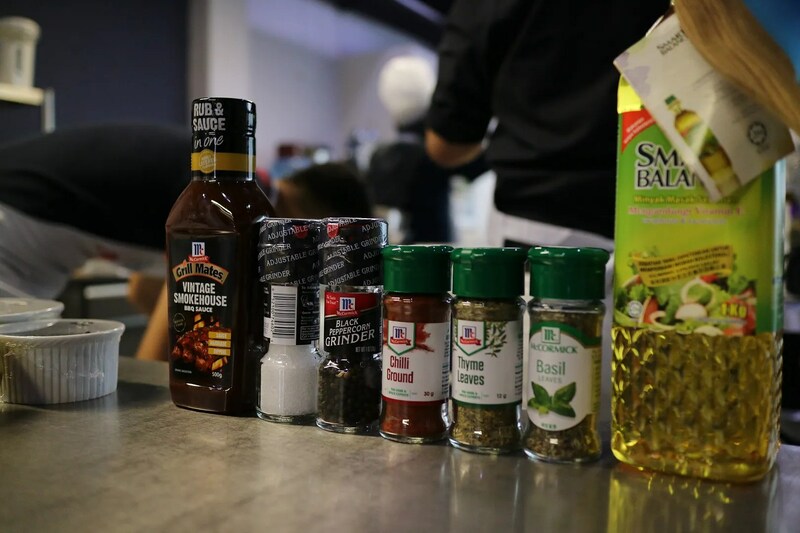 Then he also demonstrated the 2 recipes which we were supposed to cook as well. So let’s move along to the main event! We were grouped into 3s and I was paired with ciklilyputih and also my new friend Mei Mei. Without wasting anytime we got straight to cooking! Marinating the Chicken boobies with McCormick Salt and Pepper. Love the grinder, ensuring freshly grounded salt and pepper everytime. I shall also mention that the bottle is airtight, so the pepper will always smell amazing. 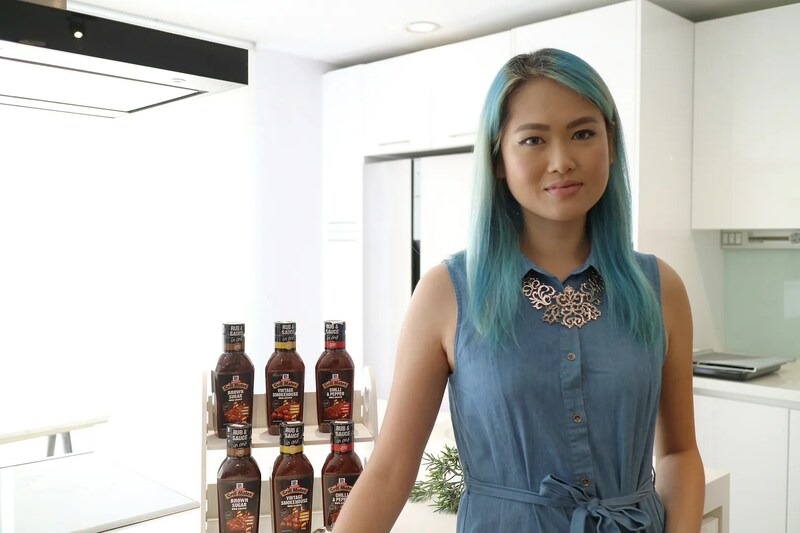 We also added the McCormick BBQ sauce for a full flavour boost. ciklilyputih prepping the vegetables like a pro. 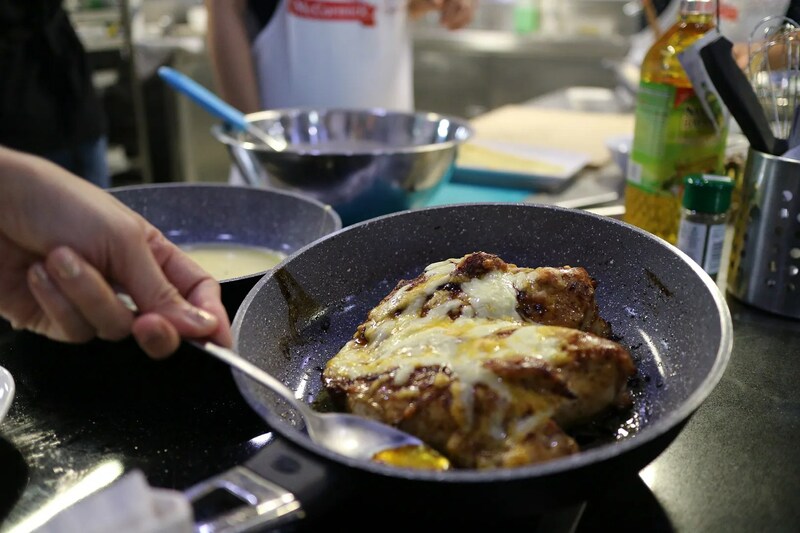 Our chicken, after pan frying on stove, then sent to the oven with a sprinkle of cheese. Looking awesome! 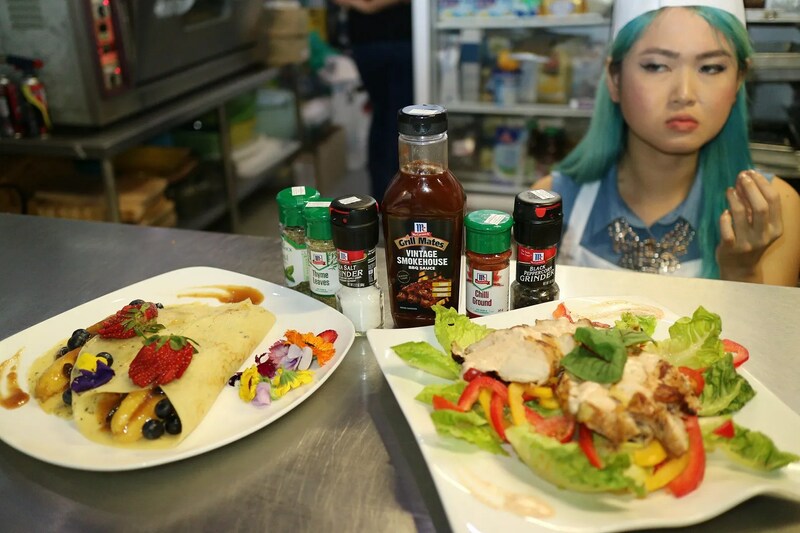 Not forgetting to smile for the camera while cooking. We also made a dessert. 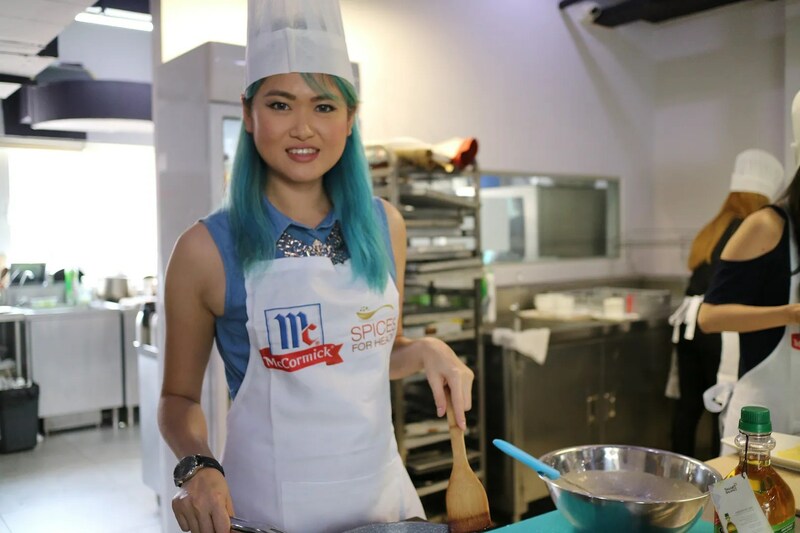 Here’s Mei Mei pouring the crepe batter into the pan. 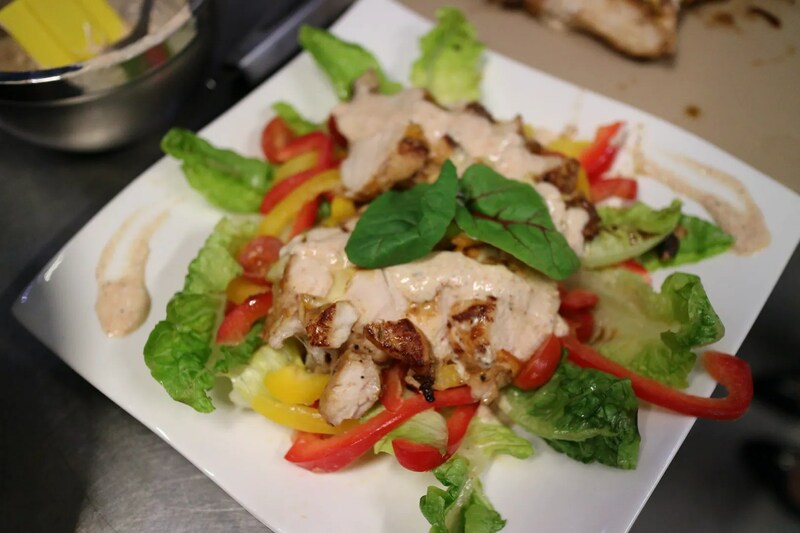 Our Grilled Cheesy Black Pepper Chicken Salad with yoghurt dressing (I added a but of cooking juices from the chicken too for extra flavour). The presentation is a little sloppy on this haha. 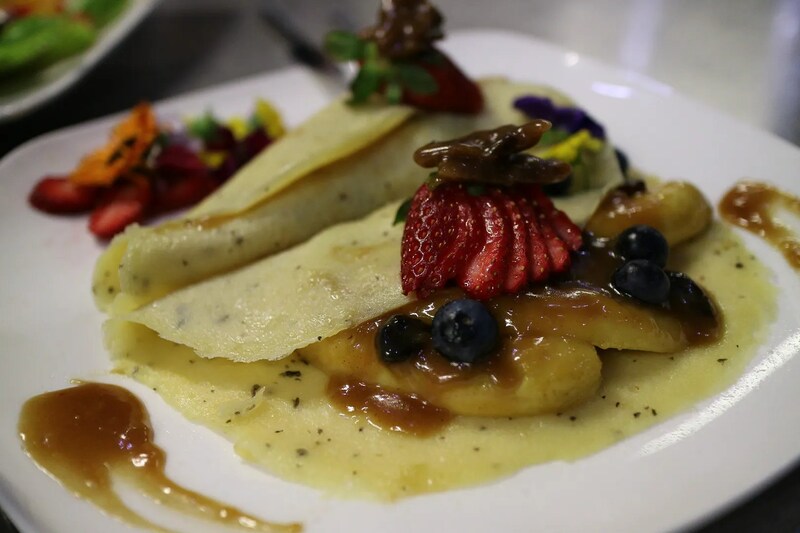 Basil Crepes with Caramelised Bananas. This looks much better, but of course we had the help of our creative director, Kevin. We had to present our dish to the judges to be tasted. That’s me putting on my game face despite the burn on my hand (yes, I touched the handle of the pan after it came out of the oven…. clumsy as ever). The dishes tasted quite good, and I was pleasantly surprised at how well the chicken breast was cooked (not a second over). We didn’t end up winning the mini contest though (think our presentation still wasn’t good enough haha). Thank you Chefology, McCormick and The Cooking House for putting together this fabulous event! 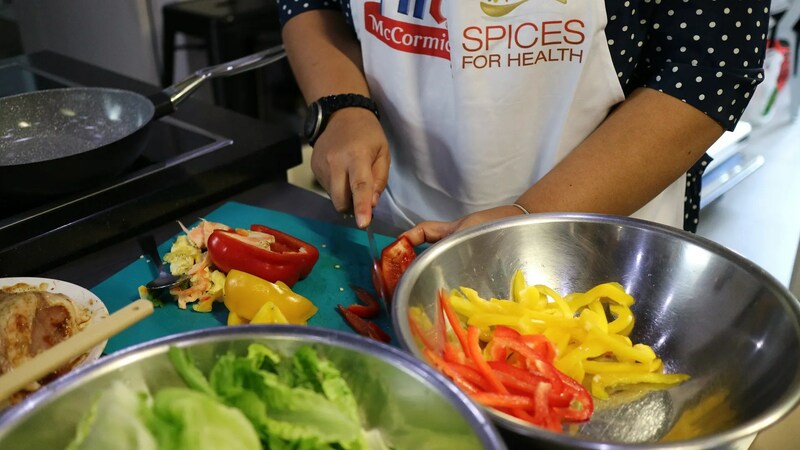 I will be posting some recipes soon using my new Chefology pan and the McCormick herbs and spices! Epic RBF when I thought I wasn’t on camera. LOL. Stay tuned for my recipe posts! All Photos shot by Kevin Loh, he shall be my designated photographer from now on!